People who are getting ready to move have a lot on their minds. If you have never been through a big move before then you would be surprised by the amount of energy you have to put into it. Not only do you have to deal with getting everything in order and getting your finances together, but you also have to worry about the emotional toll. When you are moving, you are putting your most prized possessions into the hands of Removalists whom you don’t know. That is the bad news. Now here is the good news. You can find movers who you trust. This is a matter of knowing where to look, checking references or asking the online community. When it comes to motorbike moves, however, you have to be extra cautious and some of the rouge trades will offer to Transport your Motorcycle in a Furniture Removals Truck. This is a huge NO NO unless the bike is an old farm bike that can be knocked around. For motorbike moves, there is a lot of extra thinking that has to go into it. It is paramount that your Motorbike is Moved with a dedicated Motorcycle Transport Company like Motorbike Movers. The reason is that people who own motorbikes normally see them as being among the top prized possessions. People really identify themselves with their motorbikes. For many bike owners, the motorcycle is a symbol and it also represents a way of life. To put this great vehicle into the hands of a moving company that doesn’t care can lead to a horrible feeling. You need to make sure that you are being as cautious as ever when it comes to moving your bike. You may think that the most expensive motorbike moves are going to be the best. You would imagine that when you pay extra, what you are doing is putting a little extra down to assure that your bike is safe and that you will have peace of mind. Here is the thing, however. A motorbike mover is supposed to keep your bike safe. This is exactly what you are paying them to do. This means that if you are paying extra to have your motorbike kept safe and secure, then you are paying an extra charge for nothing. Don’t go for the highest priced movers. Use the movers that do the best job. You can spend less money on your motorbike moves and get the full security, safety, and peace of mind that you need. These aren’t things that you should have to pay extra for. 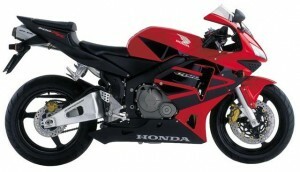 You should be able to hire a service that understands how important your motorbike is to you. This is the way to make a smart motorcycle moving decision.